The company has grown steadily, expanding from its beginnings as a local electrical services provider into its present role as a fully-fledged building services management organisation. Mike and Sue Sherwood founded the company in 1970 with an office in Torquay, South Devon. Mike’s son, Kevin, who is now our Managing Director, joined the firm in 1991 following a career as an approved electrician working throughout the South of England. By 1995 we were working successfully with a range of councils and schools in the South West region. 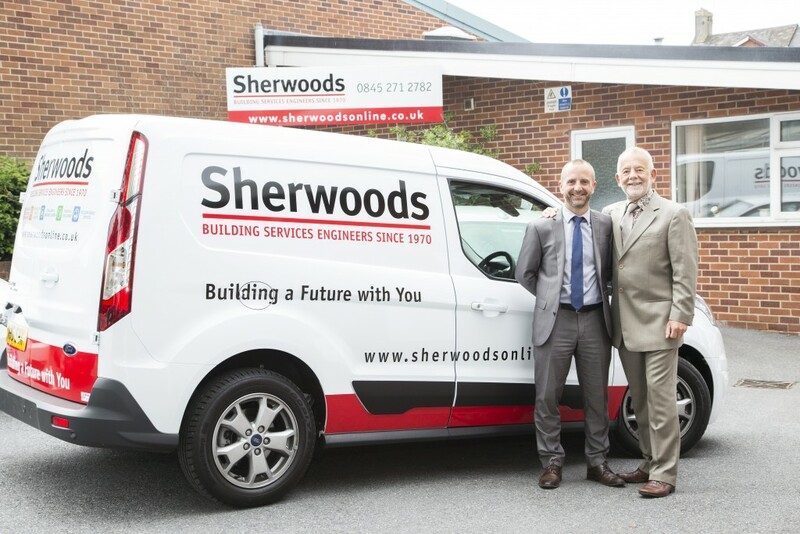 With close partnerships and a strong team leading towards steady growth, this saw a strong start to the millennium for Sherwoods. Kevin’s wife, Jo, joined the firm in 2003 and she is now our Financial Director. In 2008 we welcomed the arrival of Phil Hesketh formally of Haden/Balfour Beatty to assist with further developing the already successful planned maintenance area of the business. Sherwoods is committed to provide services of the highest possible standards. Our ISO 9001:2008 accreditation confirms our commitment to ensuring that quality is maintained. Reliability is key and we always aim to provide attendance and satisfactory completion on time. A reliable supplier chain has been developed over nearly 40 years to ensure that high quality materials and services are provided on time. Sherwoods live and breathe our values to our work and community. We are proud to contribute towards the work of local, national and international Charities and Community Centres including Rotary International, ShelterBox, Cancer Research, Rowcroft Hospice, Cystic Fibrosis Trust. We believe our flexibility is one of the things that truly sets our service apart from our competitors. It’s not just that we are willing to be adaptable and meet changing customer’s requirements – we are actually capable of being far more flexible than most companies offering comparable services, due to the way that we work, our people and the technologies we use. We’ve worked closely with our software developers to strengthen, expand and improve our systems capabilities. Our engineers carry mobile devices on them which they log all details of work carried out and the status of projects, repairs or maintenance. This information is relayed back to our operations team in real-time and can made available to clients instantaneously. It means we can provide email updates to clients, and significantly improve the speed of delivery of our services and the overall access to important management information. We have invested around £50,000 in this technology since 2008, and it is helping us and our clients keep not just one step, but several steps ahead in terms of efficiency, responsiveness and modern ways of working. We operate a policy of total transparency with our clients. Access to client information regarding the work ongoing or completed is always available, subject to identification confirmation of course. You can consult records here at our offices, or you can access our secure electronic systems over the internet. We pride ourselves on our commitment to helping to train the staff of our clients: for example helping care-taking staff in a school to be aware when equipment, lights or fixtures need attention. The more they know, the better the information they are able to give us. This means we are more likely to be able to turn up with the right parts or replacement equipment. In this way, by being proactive and working closely with our clients, we are able to deliver significant cost savings, a superior service and increased reliability.